Companies have increasingly turned to social networking sites such as Facebook and Twitter to help connect with customers and more importantly to encourage brand loyalty. This is often accomplished by offering exclusive deals and promotions to ‘fans’ or ‘followers’ of the brand. According to one study, the key to engagement in the realm of social media is the familiar direct marketing approach in which product discounts and special promotions are paramount. For instance, 44% of the people surveyed who follow a brand on Twitter identify exclusive deals as the main reason and the same was true for 37% of Facebook users who have ‘friended’ a brand. Of all the companies that use social media for this purpose, Starbucks sets the gold standard. Their social media management services success was the focus of a previous blog post and that same article is relevant yet again. 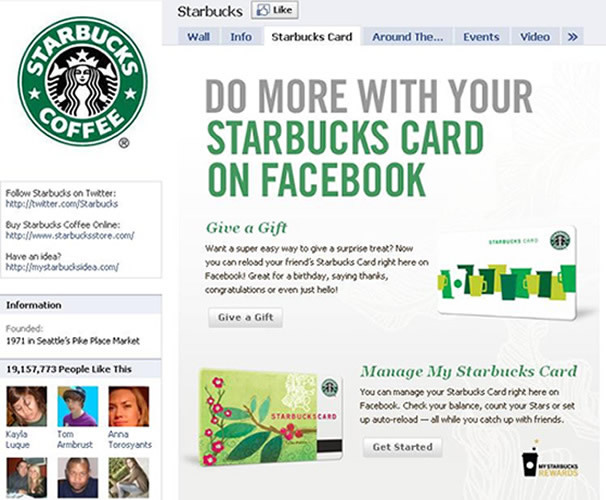 At just over 19 million Facebook fans, Starbucks has built an enormous online following and have their steady stream of special offers, coupons, and promotions distributed through the social networking site to thank. Like most Facebook accounts, when you click on Starbuck’s page it doesn’t go directly to their wall, but instead to a promotional page where you can check out new drinks and social responsibility programs, in addition to the advantages and discounts associated with the Starbucks card. While taking a back seat to the popularity of social media over the past couple of years, direct email campaigns with special offers are still a great way to reach customers and increase loyalty. According to customer satisfaction survey of holiday shoppers visiting one of the top 40 retailers’ websites, 19% of respondents came to a top retailer’s website because of a promotional email, compared to 5% from social media channels and 8% due to search engines. This is why social media is mostly good for branding. On YouTube, we recommend using a good website to buy views from like themarketingheaven.com to get the initial traction going for your channel. In order to retain and add customers, it’s important to focus on creating campaigns that encourage people to make purchases and spread the word about your offerings to friends instead of focusing strictly on brand awareness and impressions.